Craig Fletcher is the current CEO of Multiplay, a gaming services company based on the south coast of England. 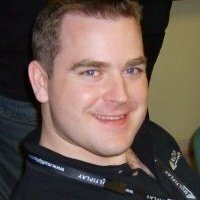 After dropping out of medical school in the late 90’s to pursue a career running LAN gaming events, Craig founded Multiplay and has spent the past 17 years growing it from a small garage-based startup into one of the industry’s leading online hosting and events management companies. A quick look at the new phenomenon of arena gaming with CEO of Multiplay, organisers of the UK's biggest gaming festival, INSOMNIA This session is reported here - with video content available.